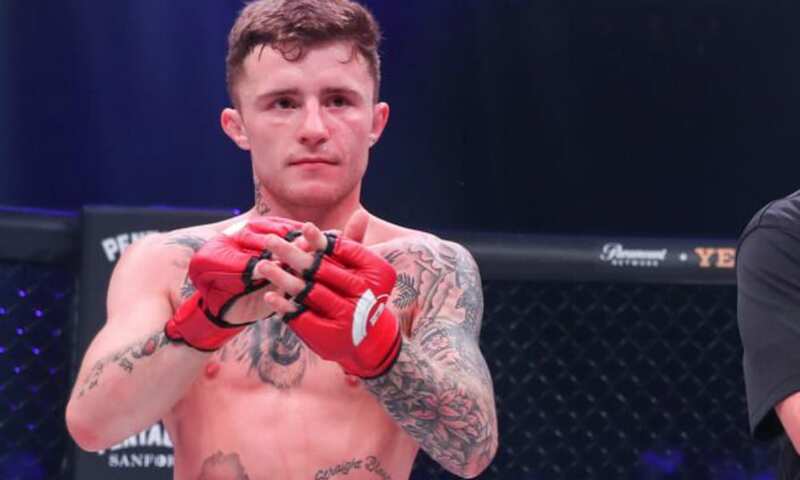 James Gallagher reacts to a loss that he won’t soon forget as it marks his first loss thus far in his pro-MMA career that is still in the early stages. 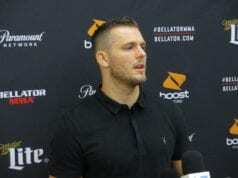 It’s rare in MMA that a fighter remains undefeated while competing and the mass majority taste the bitter defeat that will either break or make a pro-MMA fighter going forward. 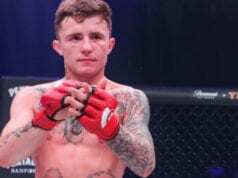 As seen on the main card of Friday’s (August 17, 2018) Bellator 204 event that went down at the Sanford Pentagon in Sioux Falls, South Dakota on the Paramount Network, Gallagher faced that fate. In the fight, he suffered a stunning knockout loss against Ricky Bandejas in a bantamweight bout. The finish of the fight came once Ricky dropped him with a straight right hand but Gallagher got back to his feet. Ricky stunned him with some sweet chin music and finished him on the ground with strikes. This fight marked the long-awaited return for the rising prospect as he had been on the sidelines for 14-months. The reason for it was due to multiple injuries and fight withdrawals during the break. Thus, this led to him making the move down from featherweight to bantamweight for this fight. Despite not getting the result he wanted, he did own up to his mistakes and still looks to not only have a long future in the sport. But, to have a successful one at that. Moments after the fight, Gallagher took to his official Instagram account where he broke his silence and noted that he makes no excuses for that finish.